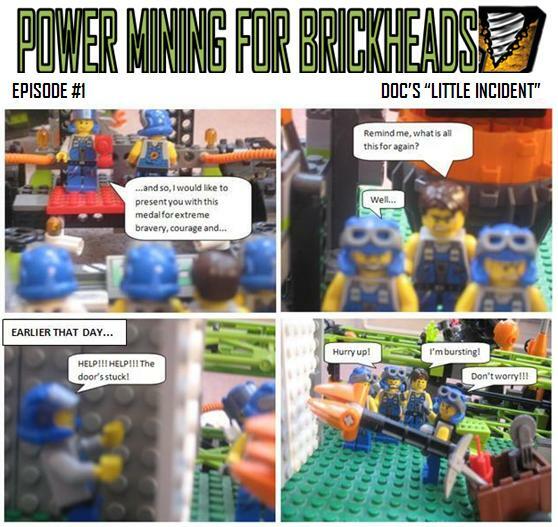 Back to the Brickheads Homepage Brickheads - Doc's "Little Incident"
Comic 1 - Doc's "Little Incident"
I've been making these comics for a while, so I decided to make a website for them. And here it is. © 2010 - 2018 Owen Dwyer. LEGO® is a trademark of The LEGO Group, who do not sponsor, endorse or approve of this site. Visit the official LEGO website at http://www.LEGO.com.